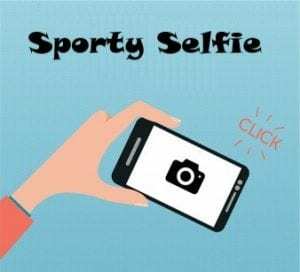 As part of our Active Flag initiative we are asking pupils to share their ‘Sporty Selfies’ with our school. A ‘Sporty Selfie’ involves taking a photo of your child being active or sporty. It could be a photo of them playing hurling, football or basketball. Or maybe a photo of them dancing, running, skipping or riding their bike at home. You may even want to capture a photo of your child doing their active homework on a Monday. The choice is yours! These photos will be displayed in school and some in the Active Flag section of the school website.